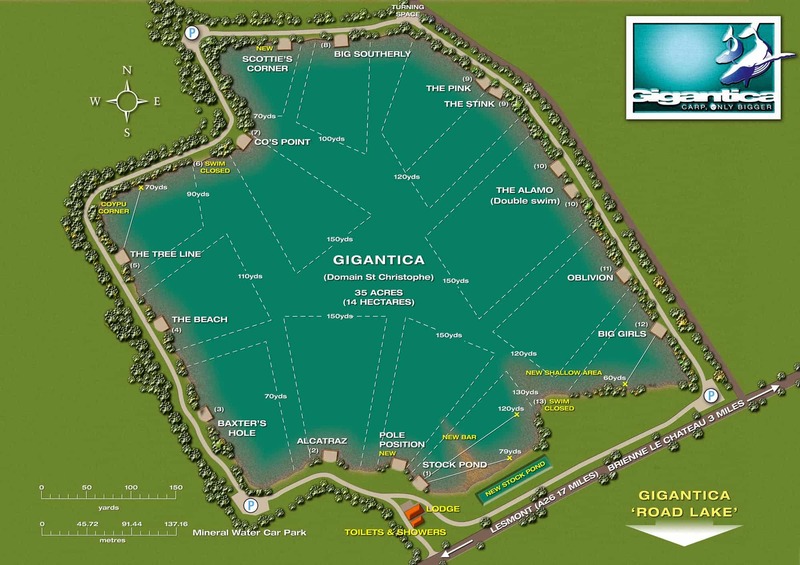 Gigantica has been fittingly named, to represent the huge carp that swim within its crystal clear depths. This lake is a real test of your angling ability, you will need to be alert and have the right equipment to avoid being caught out here. The carp top out at over 86lbs with the famous trophy fish, Fudgies. Oblivion, Pole Position, Alcatraz and Co's Point have been known to provide great results here.